NICELY MAINTAINED & MUCH LOVED! Sprawling Ranch home on ¼+ acre fenced, gently sloping & mature treed lot with multi-level deck. Very open floor plan with over 2,100SF! 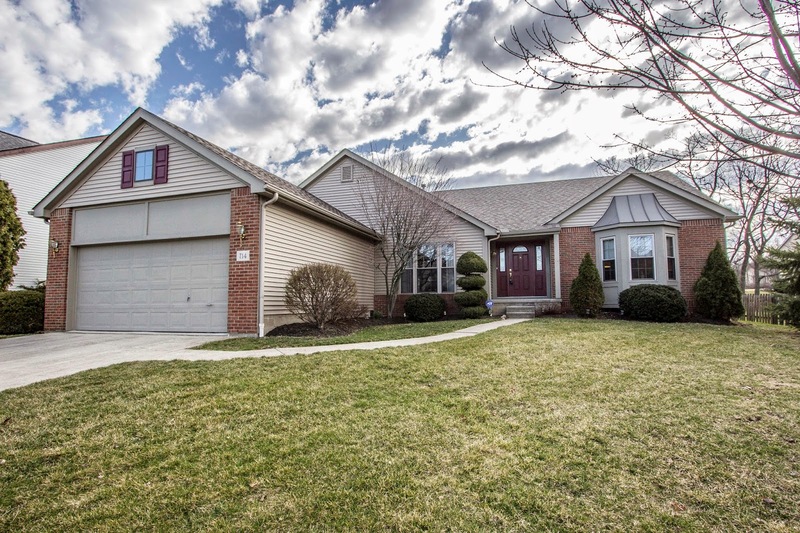 Wood Foyer steps down to a very spacious & vaulted Great Room with skylights & fireplace. Vaulted Dining Room. Vaulted, fully applianced Kitchen/Dinette with bay wall and wrap around oak cabinets. 1st floor Den (possible Laundry Room). Giant Master Suite with vaulted ceiling, plant ledge & whirlpool Bath. Updates include: roof, windows, siding, furnace, C/A, ext. paint & much more! 3 BR’s & 2 Baths. Gahanna Jefferson Schools. Only $224,900! Call DeLena today!